A little TLC could go a long way in this nice brick 3 bedroom, 3 bath tri-level on a large 1/4 acre lot. Needs some updating and all around maintenance, inside and out. Roof and gutters to be replaced, otherwise being sold "as is". 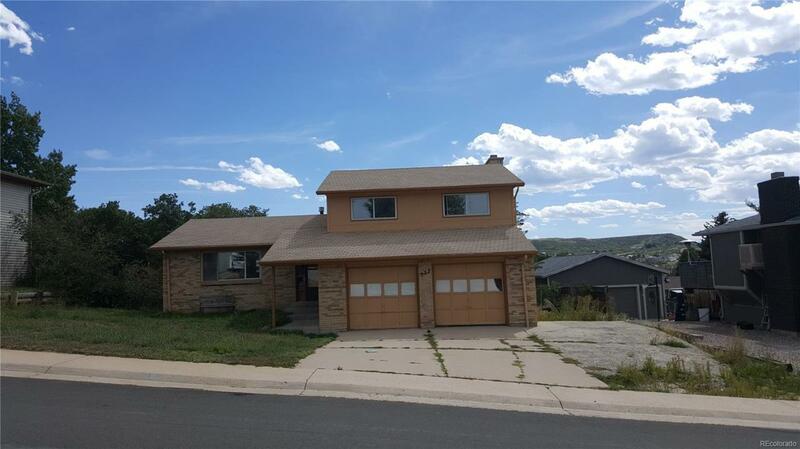 Great family neighborhood in very desirable location, close to all amenities of Castle Rock. Space available for RV parking (+). Sizeable amount of sweat equity easily available.